So glad I didn’t miss this one! 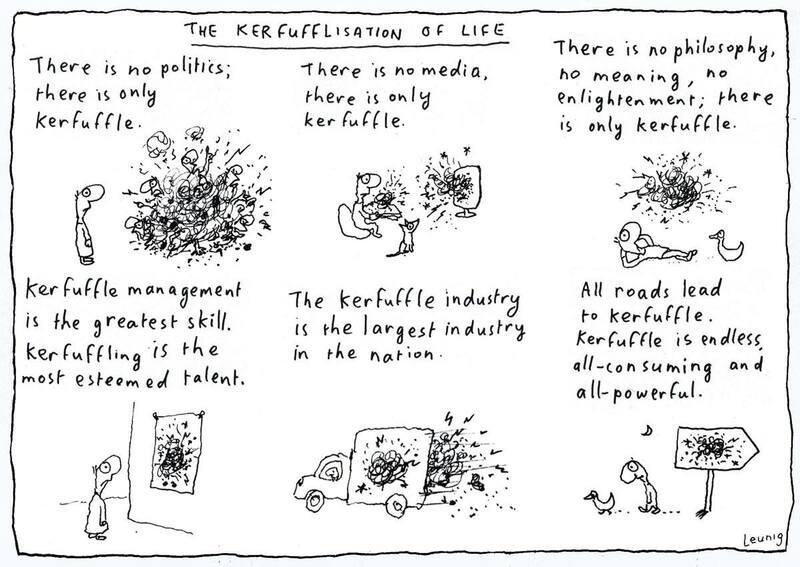 Leunig has helped me make sense of this mad, mad, mad world for nearly 50 years! Thanks Mo. I needed this. Ha! Puts a bunch of conversations about managing “info overload” in a funny light! Just caught this on the fly from another blog ! Oh, KERFUFFLING BE GONE. we need Harry Potter to use his “ridiculoso” spell! All is better then politics…………….